Need to talk to someone? Combat Stress have a 24 hour number 0800 138 1619. Feel you-re at risk? 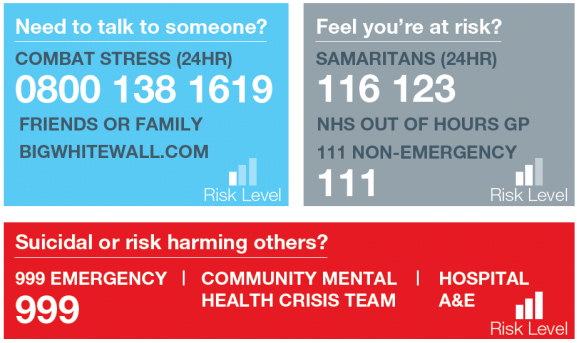 Samaritans can be reached on 116 123 or the NHS out of hours non-emergency number is 111. Suicidal or at risk of harming others? 999 emergency number.